Providing you with solutions that get your products to market quicker - saving you money in the process. 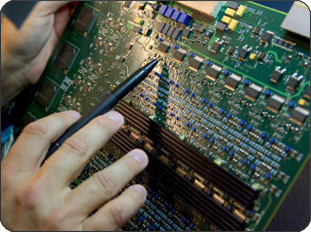 We are a sales & marketing manufacturers representative firm based in Southern California, serving the high tech electronics manufacturing industry in California and Nevada. Our principal partners (whom we directly represent) are all leaders in their respective fields. With 70+ years of combined experience in engineering/design, materials & procurement, manufacturing operations, and sales/marketing, we provide our customers with a unique background to assist and support new product designs and development, and provide manufacturing solutions at the lowest possible cost. Industries served include the medical, aerospace, military and defense, security, industrial, and gaming sectors. From engineering conception to full product production launch, HM Technical Sales serves your market and customers, and provides you with the right solutions to get your products to market quicker, therefore saving you money in the process. We are your solutions provider for all outsourcing requirements. We understand that time is money. Bad products and services create costly delays. We want to be your partner in success and provide you with the best products and services, the shortest lead times and best pricing possible. At HM Technical Sales, we want to solve your problems - not create more work for you! Email or call us: 818-581-9010. Let us know how we can help you. HM Technical Sales has been a member of the Southern California Chapter of the ERA since 2005.